Photo by: Alabama Governor Robert Bentley visits Cullman Yutaka Technologies LLC, Aug. 8, 2013. CULLMAN, Alabama – The way Garlan Gudger Jr. sees it, Cullman’s vitality and business-friendly atmosphere make the city an ideal spot to live and work. A string of business expansions and new economic development projects in the community serves to confirm his belief. “Cullman feels like a large town in a smaller town setting,” said Gudger, whose family-owned Southern Accents is one of the 10 largest architectural antiques firms in the nation. “You can call city officials directly and get a decision made quickly. We are able to move faster. Located along Interstate 65, just 40 minutes from both Birmingham and Huntsville, this city of 15,000 residents has become a thriving hub of diverse businesses such as auto suppliers, distribution operations and manufacturers. Expansion announcements have become commonplace, with projects totaling $160 million in investment and 500-plus jobs coming in 2012 alone. REHAU, which makes bumper assemblies for Mercedes, BMW and Nissan, is one of the companies expanding in Cullman. Last November, REHAU announced plans to establish its first research and development center outside of Germany in Cullman, creating at least 45 engineering jobs. REHAU was already at work on a $119 million expansion at its Cullman site to accommodate a new contract from Mercedes-Benz’s Alabama plant to develop and produce bumper assemblies for the C-Class and M-Class vehicle lines. The work is expected to create 200 jobs at REHAU’s Cullman plant, bringing total employment to more than 1,000. Other large automotive suppliers in Cullman include Topre America, Royal Technologies, and Alabama Cullman Yutaka Technologies. Markus Erlbacher, director of finance and administration automotive for REHAU, said the expansion would not have been possible without the support of state and local officials and the quality of life in Cullman. That Cullman officials stress quality-of-life issues isn’t surprising. After all, Bloomberg Businessweek last year ranked Cullman as the No. 1 city in Alabama in which to raise children. The city’s parks and recreation department has been nominated three years in a row for a National Recreation and Parks Association Gold Medal Award. Cullman City Schools consistently rank in the state’s top 3 school systems. 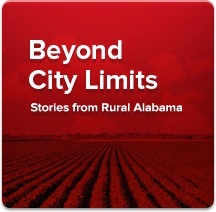 Cullman is frequently named as one of the nation’s top micropolitan areas for economic development by publications such as Site Selection and Southern Business & Development magazines. Mayor Townson said the city has bounced back after much of its downtown was destroyed by an April 27, 2011 twister. He said Cullman did such a good job of rebuilding that it was selected as the No. 1 city in Alabama to recover from a natural disaster. “After the tornado, it was like waking up a sleeping giant,” he said. Community leaders work hard to provide opportunities for Cullman’s residents, from a $16 million aquatics/wellness center with 13,000 members to a world championship archery park. When the archery park was built in 2009, it was only the second one in the nation. Cullman County is home to Smith Lake, one of the top spotted bass lakes in the country. Cullman will soon be the home of the new Bass Fishing Hall of Fame (BFHOF). The BFHOF will be constructed as a joint project between the City of Cullman and Cullman County and includes an adjacent civic center. Cullman has an extremely diverse economic base, with automotive suppliers, nine distribution centers, aerospace companies and a wide range of other employers. The area’s roots are agricultural, meaning the people have hard work in their DNA. “The citizens of Cullman have a work ethic that is constantly praised by local industries,” said Peggy Smith, director of the Cullman Economic Development Agency, which has been recognized for its work to recruit new industry and support existing businesses. Wallace State Community College in Hanceville frequently partners with businesses to train employees for specific needs. The college’s career/technical division has programs that prepare students for careers in automotive manufacturing, electronics technology, machine tool technology, welding and agricultural production, among others. In addition, the Cullman Area Workforce Solutions (CAWS) program works to meet current and future employment needs of the community by expanding the number of skilled workers. CAWS is a partnership between businesses, educators, community leaders and others. Shawn Crider, CEO of HH Technologies, has lived in Cullman his entire life. His company, which rolling door systems for commercial applications, employs 120 people. He said the quality of the area’s workforce can’t be matched. “When our people come to work, they tend to stay with us,” Crider said.